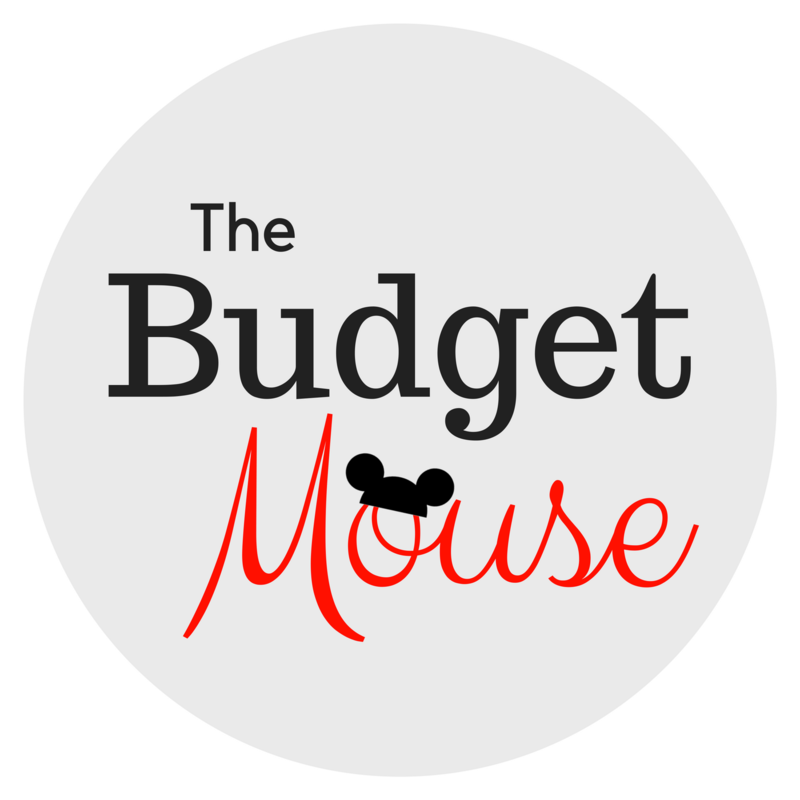 How to Get The Best Rooms at Disney World + Free Room Request Fax Printable! After MANY trips to Disney World over the years, I think I’ve finally mastered the art of getting the best rooms at Disney resort hotels! 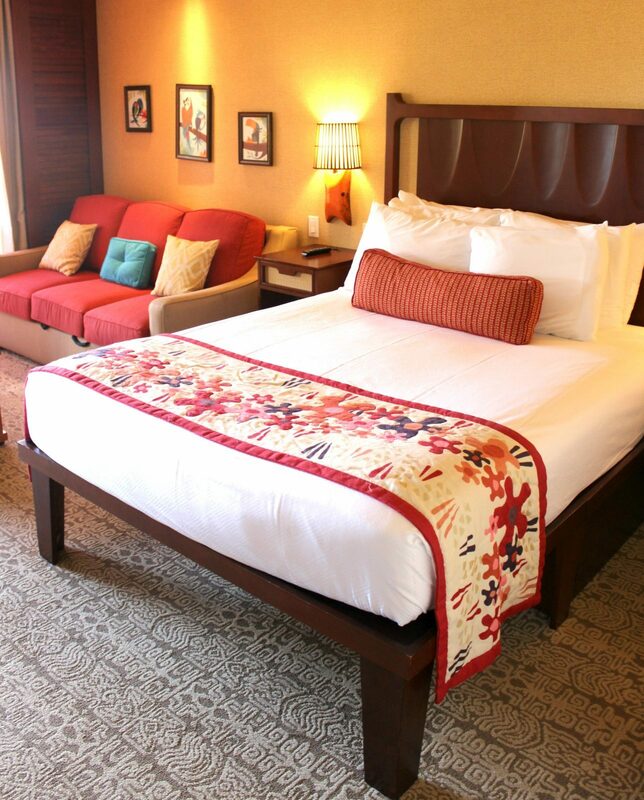 Getting awesome rooms at Disney World does take a little research and know-how, so in this post, I’ll share my secrets of getting the best possible rooms at Disney World resorts. I’ll make clear the distinction between room categories and requests, show you how to prioritize your requests, and how to make the most effective room requests. If you just want to learn about making room requests, you can skip to that info by clicking here. There are basically two approaches to getting the room you want at Disney World resorts: booking a guaranteed room category or putting in a room request before your visit. Room categories means rooms with specific views or locations, such as those close to the amenities (often called “preferred rooms”) or with guaranteed views (such as a “pool view” room). Rooms with more desirable locations or views will cost more than “standard” rooms at Disney resorts. But when you book a preferred room, you are guaranteed to have a room relatively close to the amenities at your resort. In addition to booking a specific room location or view, you can also make room requests prior to your visit. You can request ground floor rooms, rooms with specific views, or rooms that are close to transportation, for example. It is important to note that room requests are just that – requests – and Disney can NOT guarantee that they will be able to meet your request. I’ll show you how to make room requests in the next section. However, if it is critical that you have a certain location or view during your vacation, I suggest looking into a way to book that guaranteed room type and not relying on a room request. Sometimes I decide that it makes sense to spend a little more on a preferred room location or view. Other times I decide to book a standard room and make a room request before check-in to hopefully get a room located where I want it. Consulting a map of your resort that shows the location of the different room types will help you make this decision. I haven’t found one site that catalogs all of the available resort maps, so I suggest just searching the web for a map that shows the locations of the room types at your resort. It is worthwhile to consult a map because certain room categories may not be in the ideal location for your travel party. As an example, the pirate-themed rooms at Disney’s Caribbean Beach appeal to lots of folks with pirate-crazed little ones. 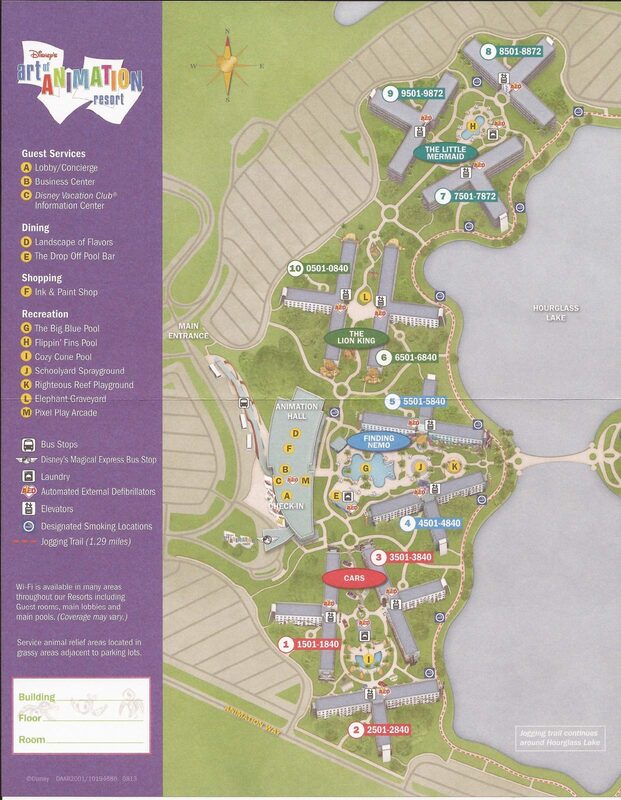 But consulting a map of room locations shows that these rooms are the farthest away from the amenities at the resort. Spending 10-15 minutes walking just to get coffee in the morning might not appeal to everyone, so it is a great idea to check a map that shows a resort’s room locations while planning your trip. 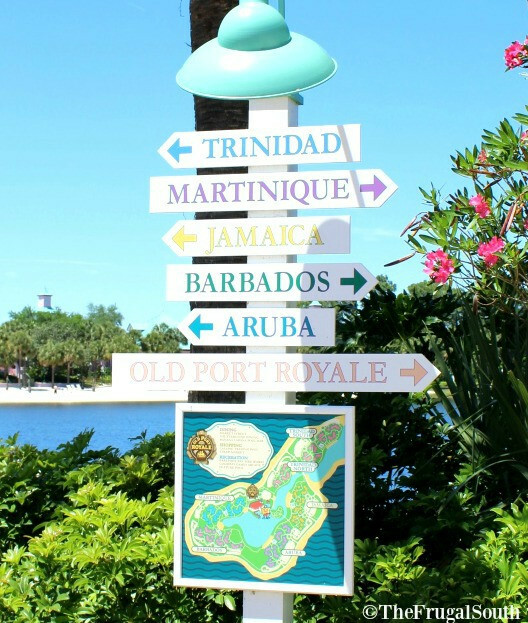 If all of these choices makes your head swim, I strongly suggest getting a free quote from the Disney travel agents at Destinations in Florida. They can help you pick the right resort and room category for your family (at no cost to you!) and help you with all other aspects of planning your trip. Whether you have booked a preferred room or standard room, I always suggest making a room request before your trip. Even within the preferred room category, some locations will be better suited to your needs. The next step is deciding what is most important to you in terms of room requests. This is important because the fewer requests you make the more likely they are to be met! I suggest narrowing it down to the TWO most important requests for your travel party. At resorts with ground floor rooms, I always request to be on the ground floor. Since we use a stroller for our little one, it is so much easier to not have to wrestle it up and down an elevator every time we return to our room. My other requests depend on the resort and the vacation. I often request to close to transportation if we plan on going to the parks a lot. When my sister and I stayed at Caribbean Beach last spring on a resort-only trip with our families, we requested to be as close to the pool as possible since we were going to spend most of our time there. Other common requests are proximity to other members of your travel party, connecting rooms, to be in a certain section of a resort, or to have a certain room view that cannot be booked as a separate room category. It may be hard, but narrowing down your room requests to your top two priorities will greatly increase the odds of getting your requests fulfilled. Awesome view from our Standard View room thanks to an effective room request! There isn’t a consensus out there on the best way to place room requests at Disney resorts, so I will just share my strategy and my results. First, the results: I have ALWAYS had all of my requests met on every trip I’ve made to Disney. I’ve heard lots of folks complain that they didn’t get their room requests met, so I guess I’m doing something right! When I complete the online check-in process (which is the same whether you booked your room with DVC points, directly with Disney, through a third-party site like Orbitz, or with a travel agent), I always add my top priority room requests if they are available. 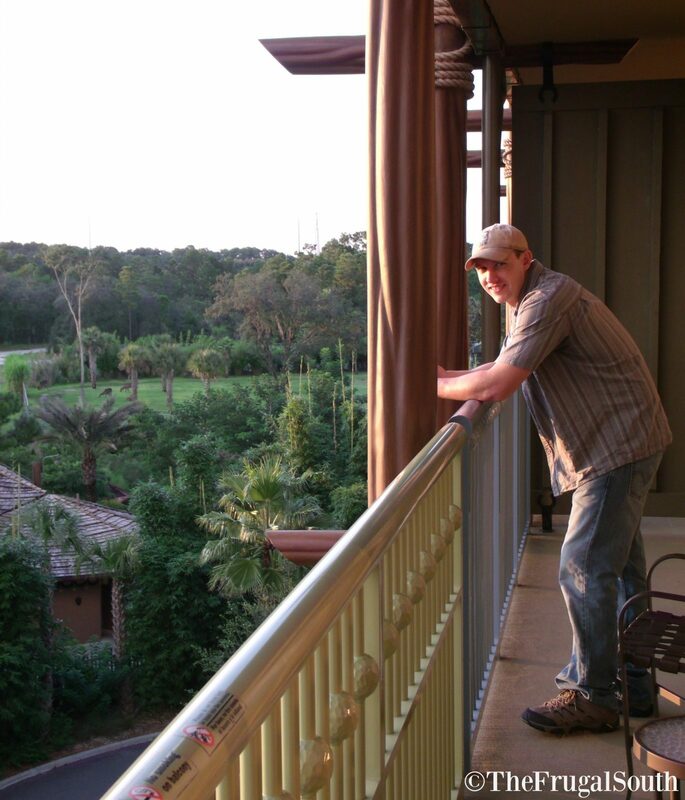 As an example, for our last stay in a Standard View Studio at Animal Kingdom Lodge, my top priorities were to be close to the lobby and have a partial view of a savanna. 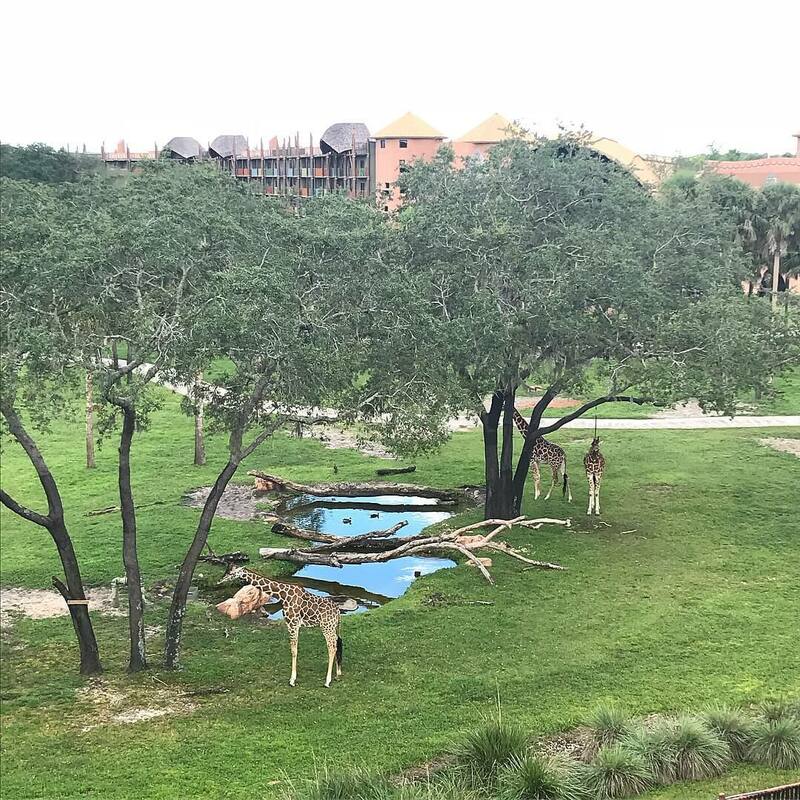 Though rooms with full savanna views are a separate booking category, you can actually see animals from many standard view rooms at both Jambo House and Kidani Village (parts of Animal Kingdom Lodge). During online check-in, there was not an option to request a partial savanna view but “close to lobby” was an option, so I just chose that. Then I faxed my other request into Animal Kingdom Lodge. I personally have had great success with “faxing” my requests to the room assigner at my resort. There are some Disney World resorts, however, that have started NOT accepting room request faxes. So if your resort isn’t on this list, I suggest faxing in your room request. If your resort is on this list, just call Disney at 407-W-DISNEY and add your request that way. First, I create my fax in a Word or Google docs document (get a free template below). Then, I upload my fax in a word document to the website FaxZero.com. which then sends it off to my Disney resort. I aim to fax my room request 5-7 days before my check-in date. As you can see from my example above, I try to be as brief and cordial as possible. I also mention where I’m from and the fact that I am a repeat visitor because I figure it never hurts to make a personal connection. You can download my fax template in a Microsoft Word document here! I also try to be more general than specific in my requests. I don’t ask to be in a certain room or section of the resort – instead, I ask to be as close as possible to whatever is most important. For our stay in a standard room at Caribbean Beach, I considered requesting one of the villages that are closest to the pool. Instead, I decided to just request being as close to the pool as possible. We ended up being placed in one of the preferred rooms, which are closest to the pool and normally cost an extra $40 per night. I was glad I made my request as general as possible because I think it contributed to our free magical upgrade! 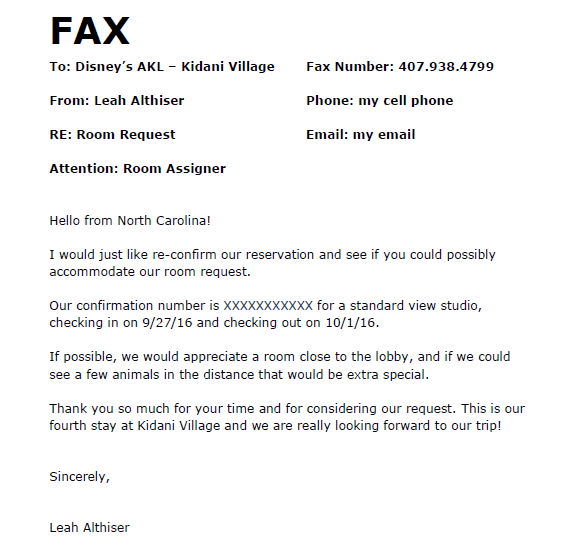 This past November I actually received a phone call from the room assigner at Pop Century a few days after I faxed my request. She called to check if the room she assigned would work for us, and it was perfect. In my experience, you can trust that an actual person will see and address your room requests when you send them via fax. Many others will suggest calling Disney to add your room requests to your reservation. However, Disney has recently made it difficult (if not impossible) to call the front desk of any of its resorts. You will be re-directed to a general Walt Disney World Resort reservation line if you try to call a resort directly, and a cast member will add room requests to your reservation in the computer system. I am sticking with faxing my requests since I have had so much success with this approach in the past and I’m not able to talk to some directly at the resort when I call. I’ve been lucky to always get my rooms requests met, including getting connecting rooms, special views, and proximity to amenities and transportation. I believe this is mostly due to the fact that I do some background research, limit my requests, and submit my requests in the most effective way possible. 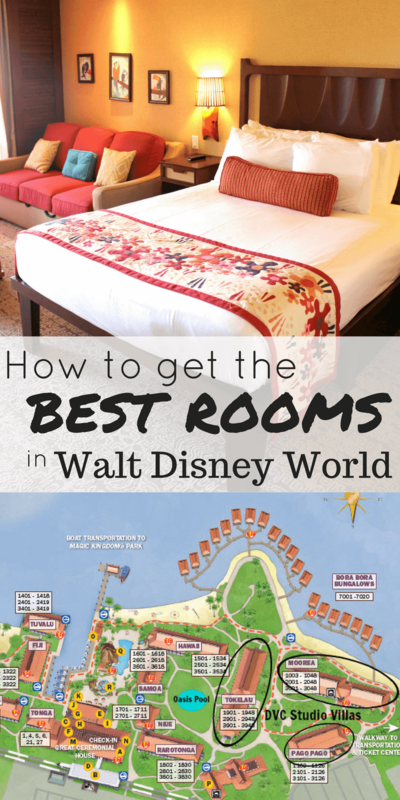 Good luck with applying these tips and tricks and I hope you receive the best possible room on your next trip to Walt Disney World! Any questions? Leave a comment below or join the discussion on my free private Facebook group! I know this post is older, but I saw there were some recent posts, so I figured it wouldn’t hurt. I’m currently planning my honeymoon to Disney World in July. We will be staying 2 days at POFQ and 3 days at Pop Century. It will be both of our first time staying on Disney property and his first time at the parks. We would love something a bit out of the way (less foot traffic around the room), but not too far from transportation/main building s. What would be some recommendation on what to request? Hi! We are headed to Disney World for our very first time (although we have been to Disneyland many times before). Party of 5 here (17, 10 & 5 yr old kids, including my husband and I). Which is why we booked a standard 5th sleeper. While most days will be at the park we have worked in some down time as well. Should I be looking for close to transportation or possible view? Maybe close to transportation since we are first timers & are probably underestimating how tired we will be 🙂 Thoughts? Suggestions? Hi Mary Beth! I would request to be close to the pool/main building to limit your walking back and forth there since you will be spending some time at the resort. There are many bus stops around the resort so a request to be close to transportation would likely just get you close a bus stop. Also you might want to request ground floor to limit going up and down stairs (there are no elevators at Caribbean Beach). Hope that helps! Hey, I know this post is older, but I saw you recently responded so figured it was worth a shot. I am going to Disney World in July for my honeymoon and will be staying 2 nights at POFQ (King bed) and 3 nights at Pop Century. It is both of our first time in property (and his first overall). What would be good requests to make? We are both healthy/able bodied though I’m sure we’ll get warn out at the parks, but we’d love something that doesn’t feel like everyone is walking past our room. Should we ask to be close to the main building/transportation or will that be too crowded? Are there specific views you recommend at those resorts? Hi Jamie! You can always request to be in a quiet part of the resort if that is most important to you. It won’t matter much at POFQ because it is relatively small but you could end up very far away from transportation and the food court at Pop Century with that request. Alternatively, you could ask 1) to be close to transportation and 2) to be on an upper floor to get the best of both worlds. Hope that helps and congratulations! 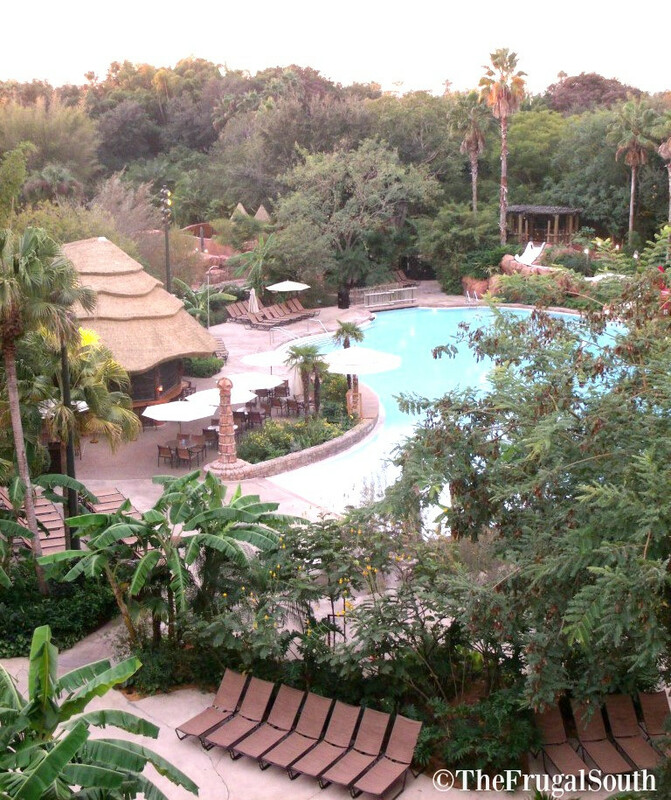 Thanks Leah on the tip about we questing I have balcony at the Polynesian. We’re splurging on the Polynesian and I’m so excited I want to make it as special as possible. Thank you for the great tips. 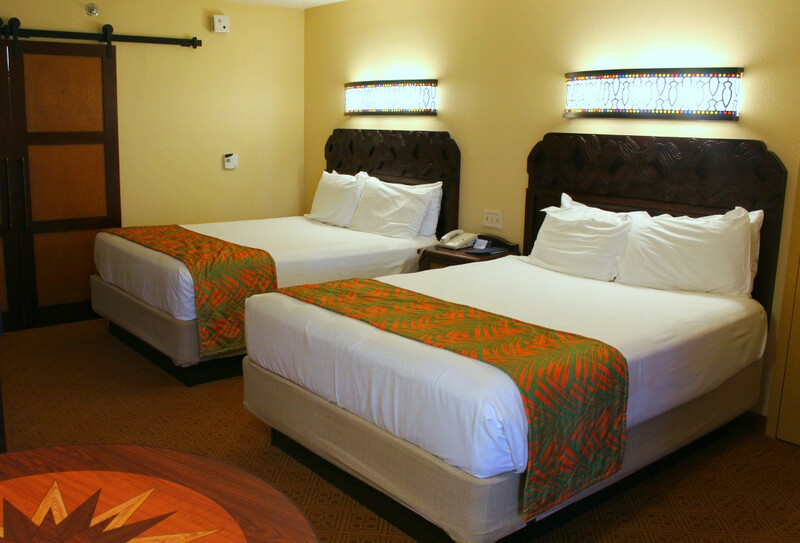 We are planning on staying at the Polynesian in a standard room. Do you recommend a certain building? I’m thinking being close to transportation would be nice but I’m afraid it might be loud and difficult to sleep??? Hi Nancy! You might want to request a room with a balcony since some rooms at the Poly do not have one. I don’t think it will be any louder to be close to the main building and therefore closer to transportation. Hi Leah! Beginning stages of planning our first trip. 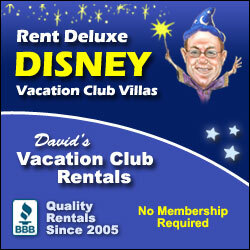 We’re wanting to stay at AKL by renting DVC points. Any idea if we could still fax a room request? I’d love to save a little more money with a Standard room with a partial view than pay for the Savanna room, just not completely sure how that would work if renting/booking with DVC. Thank you! My parents are joining us on our trip. This will probably be the last vacation my mom with ever go on due to Alzheimer’s. Is this worth mentioning when faxing a request, or should I keep personal reasons out of why I’m making a specific request? I think it is fine to put personal reasons in your request, Renee. Also you can mention it when checking in. You are celebrating your Mom on this trip and Disney is wonderful about bringing extra magic to your trip for reasons like this. Thank you for your help! We leave in 10 days and are so excited! We faxed the resort tonight – so fingers are crossed that we get our requests! Fingers crossed for you, too, Amanda! I paid for a preferred room and requested (via telephone months in advance) a room as close to transportation as I could get in the preferred location. I even explained to them why – I’m disabled and can’t do a lot of extra walking. By the time I get back from the parks, I’m worn out and can’t walk that far. I got my preferred room, of course since I’d paid for it. But it was as far from the transportation as it could get while still being in a preferred building. It really made it hard for me to get to the lobby for food and to the buses. 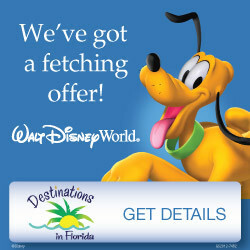 Also, if you want a site that provides resort maps for all of the Disney resorts, try https://touringplans.com/walt-disney-world/hotels Click on a resort and do the various drop down menus to choose your various ‘wants’ in your room. It will highlight the buildings that fit your search criteria. Thank you so much for your sample room request form, I used it for my trip to AKL and it worked! I was so happy all of my requests were made. Yaaaay I am so happy to hear it, Bria! The fax seems to work well at AKL especially. Yes, you’ll want to request to be close to the busses in the Cars rooms. The fax number for AoA is (407) 938-7070. We are staying at Caribbean Beach in January. I’m recovering from a surgery on both my feet (yikes!) last week so a room close to transportation and main food area would be best. I called but got little response from the lady on the phone (surprisingly for Disney!). Anyway – do you recommend a specific building, angle for getting the best room, etc.? Also, do you have the fax number to Caribbean Beach? Thanks! Hi Amanda! I would suggest requesting just what you mentioned – close to the food court and transportation. I’ve had more luck with general requests than specific buildings. The fax number for CB is 407-934-2736. Have a great trip! Hi! Great information! My family (3 rooms) will be staying at the Grand Floridian this December! We have lagoon view rooms and our two requests would be to have joining/neighboring rooms and the best views (park view if possible in that category, but at least firework views). Do you think I could just request a park view or how should I request it? Also, can I still fax the GF? Wow, that sounds like an incredible trip, Natalie! Theme park view is a separate booking category, but I would bet there are some lagoon view rooms that would have a partial view of fireworks. So I think you should request a partial view of Magic Kingdom if possible on your room request and adjoining rooms. And yes, you can still fax the Grand and I suggest you do – the fax number is 407-824-3186. Have fun! My son and I went to Disney in LA and stayed over a mile away from the Resort in a Trailer Park which meant walking from there to Disney & then back at end of the day !! We lwhere both really tired from walk before we even started the day at Disney. My son was eleven at the time over twenty years ago. Sure wish all these savings were available when we went !! Wow times have changed, haven’t they Carol! 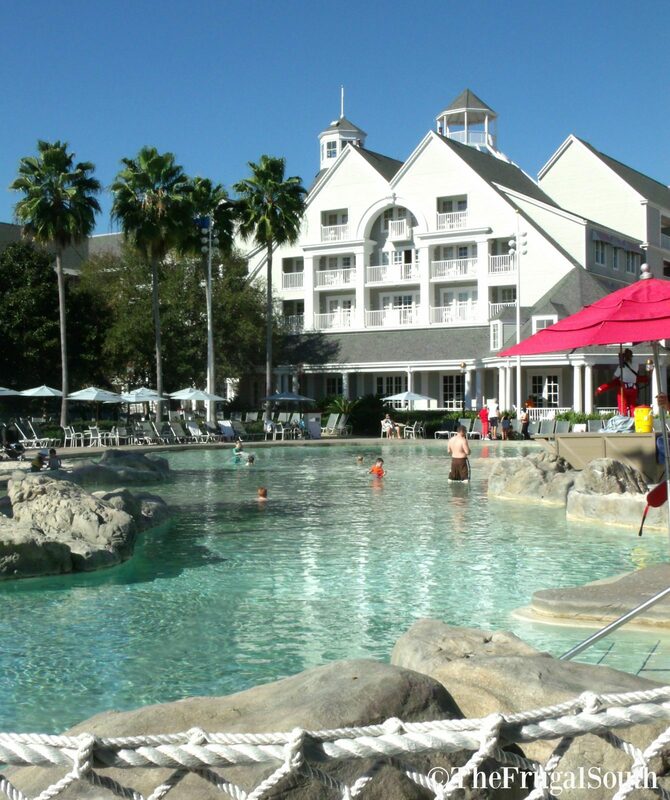 When I first went to Disney World there were three on-property resorts to choose from – now there are more than 25!!! My son & I went to Disney land over twenty years ago , stayed at a trailer park 1 & a half miles from Disney. Before starting our day we had to walk to Disney Land which left us both tired before we even started in the park. Hi Leah, Staying in Jambo house for 2 nights, November 7-9th. Should I make a request while doing the online check in or wait and send the fax or both? Senior residents meeting our kids who are staying during NJ teachers week. Thank you for all of this information. It really gets overwhelming! If the requests you want to make are available as options in online check-in than just that is fine! Often I want to request something that’s not listed so I opt for the fax. P.S. We lived in Charlotte for 22 years and LOVE North Carolina! Hi from NC, Debbie! You will love the Lion King section at Art of Animation! Most rooms in that section do not have parking lot views and they are very close to the buses. 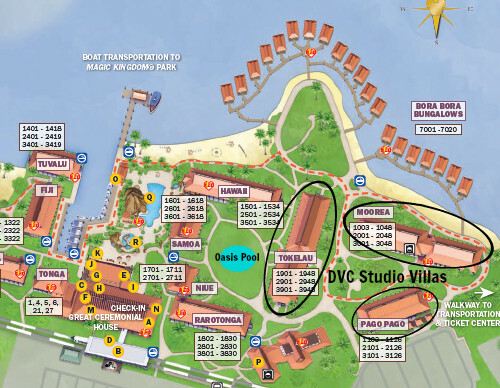 You can see their location in the map in this post: https://www.thefrugalsouth.com/disneys-newest-value-resort-review-art-animation-resort/ I personally like ground floor to save time in the elevators. You could also request a lake view and/or to be close to transportation. Hope that helps! Thanks for the post. It’s our first time going to Disney— we’re staying at Art of Animation for New Years. Children age 8&4. what type of room is best in your option? We heard we can view Epcot fireworks. What would you suggest? Hi Jennifer! Here is a post from Disney Moms Panel regarding the fireworks view: https://disneyparksmomspanel.disney.go.com/question/know-possible-view-fireworks-art-animation-resort-need-314801/ You may be able to see some of the Hollywood Studios fireworks more than anything from Epcot. With kiddos and potential stroller I prefer ground floor so I don’t have to wrestle the stroller up the elevator. Do you have a family suite? If you don’t already have a section assigned, I love the rooms in the Cars section, but all of the rooms are amazing! We are a three-room group staying at Coronado Spring during free dining week this November. I got an email saying the playground and arcade would be closed for construction during our stay. What do you think are the chances of getting switched to another moderate hotel during free dining week? I sent two emails to customer service about it and never got a reply at all. Hi Falon! Your best bet might be to give Disney a call at 407-W-DISNEY. There is also major construction going on at Caribbean Beach (more so than Coronado Springs) so you likely would want to be moved to one of the Port Orleans resorts and it is possible they will be totally booked during your dates. But it is worth a try! Hi Shannon! I just returned from a stay in a garden view room at Port Orleans Riverside! Are you staying at Riverside or French Quarter? If Riverside, you might want to consider asking for either a Mansion room or Alligator Bayou room, whichever you prefer. Asking to be close to the main building would get your closer to the main pool and food court, while transportation would get you closer to the buses and likely in an Alligator Bayou room. Either request would be fine at French Quarter since it is smaller. Scroll down the post to see directions for faxing online with Fax Zero. Hope that helps! Any suggestions for the over 65 folks. Would like a resort with minimal walking . Close proximity to transportation, lobby. Would the Contemporary resort be a good choice ? Hi Bob! Yes, a room in the Main Tower at the Contemporary would require very little walking to all the amenities and transportation. Garden Wing rooms there not so much – they can be pretty far from the lobby! Port Orleans French Quarter is the smallest resort and pretty compact so that might be a good bet. And you can get “preferred” rooms at most resorts that are guaranteed to be close to the lobby. We’re in the midst of planning a November trip and will be staying at the Swan. Any thoughts on what rooms would be a good request (I’m thinking close to transportation)? Also do you know if I can fax it should I call? This is great info! I’m a fellow North Carolinian and I believe your recommendation adds a bit of southern charm they may not often see at Disney 😉 We are staying at Pop Century (standard pool view) and Animal Kingdom (savanna view). I saw your suggestions about pop (renovated room and/or close to transportation); any additional recos for these two resorts? we will be traveling with a stroller but would prefer not to have the extra foot traffic of a first floor room if it’s going to add a lot of noise. My kid will be 4 and 6 at the time, and we’ll be doing parks on the days we are staying at Pop. Thanks in advance for your recommendations! You are staying at my two favorite resorts, Aubrey! Great taste – must be a southern thing. 😉 Most rooms are renovated now at Pop Century but I’d still ask for that. You’ll either be in the 1950’s section by the bowling ball pool or the 90’s by the computer pool. I strongly prefer the 50’s because it’s closer to the main building and I like the theming better so that might be a request instead of close to transportation. I’ve never had a problem with noise past my room due to being on the ground floor, but I’ve also never had a pool view room and that might affect things. So that is your call! As for AKL (which is the best resort ever, btw), some of the savannah view rooms are pretty far away from the lobby and pool. So that might be a request. Also, some people prefer the main “Arusha” savannah because it is bigger and offers a more sweeping view, but you’ll see tons of animals from all of the savannahs. Hope you have a great trip! p.s. I checked out your site and am emailing you about your shirts! I will be traveling to Disney early May. My situation is a handicapped(wheelchair restrained) daughter. I have made several requests on my preferred room reservation: ground floor, near transportation, near the lobby. Do you think I should still fax a room request? Hi Debra! I don’t think it is necessary if you’ve already added those requests to your reservation. Hope you have a great trip! I just assumed French Quarter, not sure why LOL… The four buildings with preferred rooms at Riverside are all in the Alligator Bayou section. Some look out on the gardens or stream and some look out onto the parking lot, so a garden/stream view could be one of your requests. The other could be the floor you prefer or a request to be close to the pool or transportation, depending on what’s more important. Hope that helps! Port Orleans French Quarter is one of my favorites, Sarah! 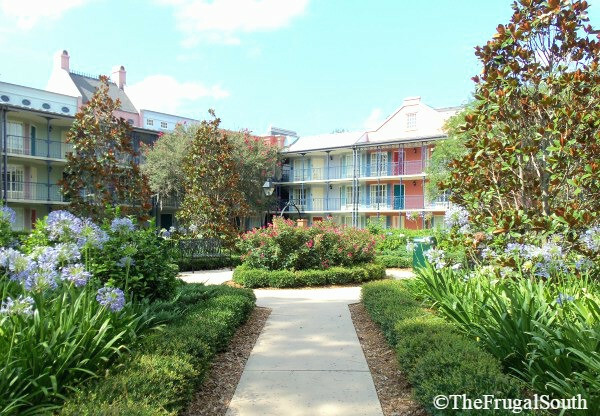 It is the smallest resort on Disney property so you are guaranteed to be close to everything. The only request you might want is to be on the ground level (if you have strollers or scooters and don’t mind a little extra traffic past your room)) or maybe 2nd or third floor if you’d rather not have the foot traffic past your room. Have a great trip! THANK YOU for this fabulous post! I took your suggestion and made a two very general room requests. We were upgraded to a premium room with a view of Magic Kingdom. What a extra special surprise! Thanks again! Wow, that is fantastic! So glad the requests worked out for you. Thanks for the update! I will be staying at Caribbean Beach in a preferred room, is there any need to do a room request? Hi Steph! If you want to be on the ground floor definitely add that as a request. There are two floors at Caribbean Beach and NO elevators which can be problematic with strollers! Also, some buildings are closer to the pool than others, so you might consider that as a request. Have a great trip! Hi! I am about 30 days out from my Disney trip. I was planning on sending a room request fax. After one of your last comments about them saying not to fax in requests, would you still fax in a request if you were going on a trip? Just curious if I should do it or not. Thanks! Hi Heather! It seems a few resorts are no longer taking requests by fax. Beach Club, Boardwalk, Wilderness Lodge, Saratoga Springs, and Old Key West are currently NOT taking room request faxes. If you are staying at one of these resorts, you should call instead. Otherwise, I still think faxing a request is the better option! Sorry if you already answered this but how close to your reservation should I make the request? Hi Andrea! I send mine 5-7 days before. Have a great trip! I was wondering if we should still fax a room request when the All Ears Fax list says not to fax room requests. 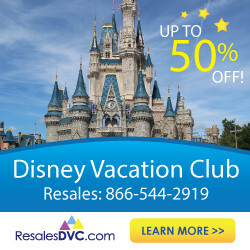 I’ve rented DVC points and I’m wondering how best to put in a request. Thanks so much!! Good question, Courtney! I’d suggest calling to have your request added to your reservation if AllEars says the resort doesn’t accept faxes. Even if you rented DVC points I believe you can still add a request to the reservation without being an owner. 407-939-1936. Hi there! Great tips! I was wondering how you would suggest requesting a room at Pop that is a remodeled room with the least amount of walking to the bus area. This is our first time staying at this resort and we are worried about the length of walking for our son who is Autistic. We typically stay at Wilderness Lodge but couldn’t fit it into the budget this time. Thanks for the help! I’d definitely suggest adding these two requests to your reservation via a call or fax: Renovated room and close to transportation. List whichever is more important to you first. Good luck and I hope you have a great stay at Pop Century, it is one of my favorite resorts! Have you had much success at the beach club resort? We would like a full balcony?? I’ve only stayed at the Beach Club Villas… if having a full balcony is the most important thing to you I would make that your only request. Or you could stay at the Yacht Club or in the Beach Club Villas (which all have full balconies) but I realize that may not be possible! Hi! Thanks so much for the info! My family and I will be staying in the FW Cabins this December. We would love to get two next to each other and close to the pool. Do the cabins work the same as the room requests for other resorts? Thanks! Hi Leah, I don’t know if they’re linked. I’ll have to call and check and then I’ll put the request in. Thanks for all of your help! Glad to help, Laura! It never hurts to take an extra step to get that perfect room. 🙂 Let me know how it goes!